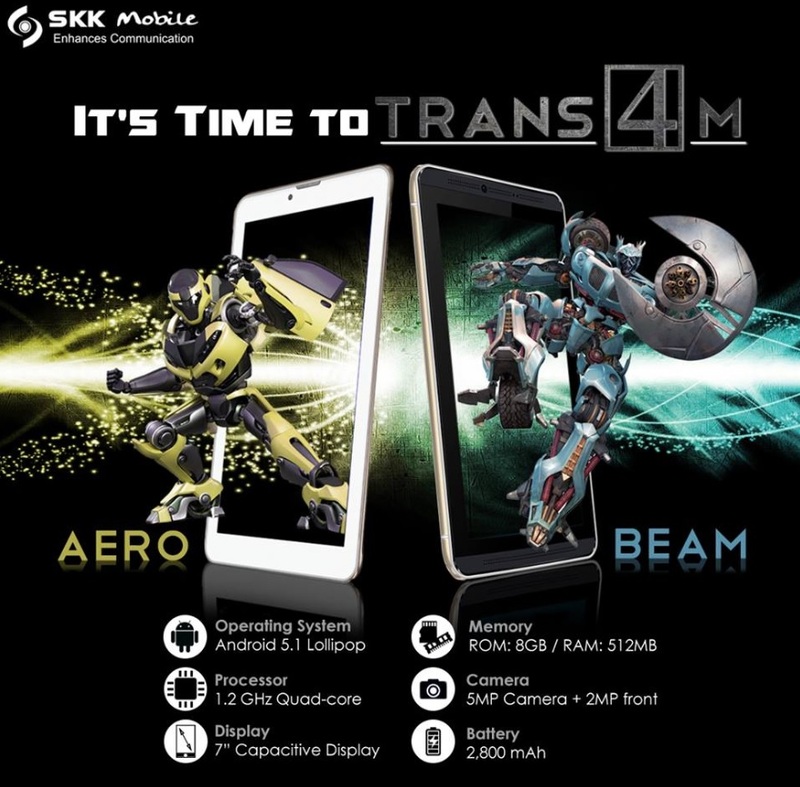 SKK Mobile Announces their newest tablet line-up called Trans4m and the first two devices under this series are the Aero and Beam. The SKK Mobile Trans4m Aero and Beam are almost the same, if not identical, in terms of specifications, both have 7-inch capacitive touchscreen display powered by 1.2GHz quad core processor coupled with 8GB of ROM and 512MB of RAM, expandable storage, run on Android 5.1 Lollipop operating system, have 5MP main camera and 2MP selfie shooter, and 2,800mAh battery. As of this writing, the above information is all we got, there are still plenty of missing details, such as screen resolution, the chipset used, physical dimensions, weight, price and availability to name a few. We are going to reach out to SKK Mobile team and update this post once more data are in.